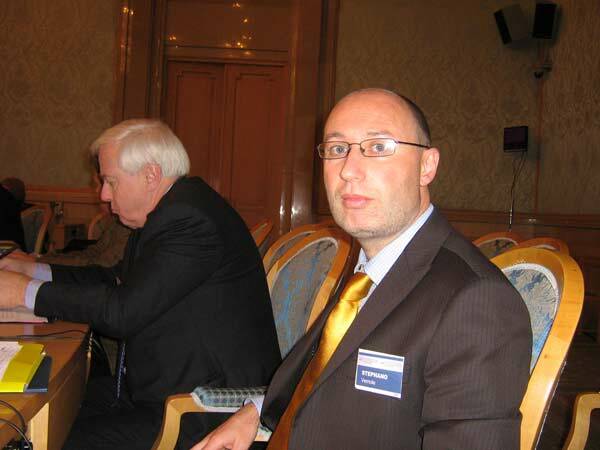 The conference “The Future of the White World”, Moscow, 8-9 June 2006: (left to right) Vladimir Avdeyev, Pierre Krebs. 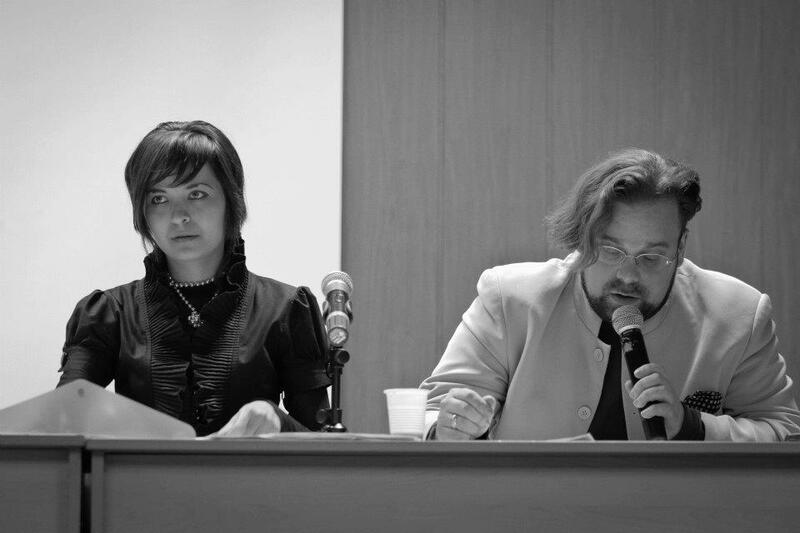 The conference “Against Post-Modern World”, Moscow, 15 October 2011: (left to right) Natanella Speranskaya, Mark Sleboda. 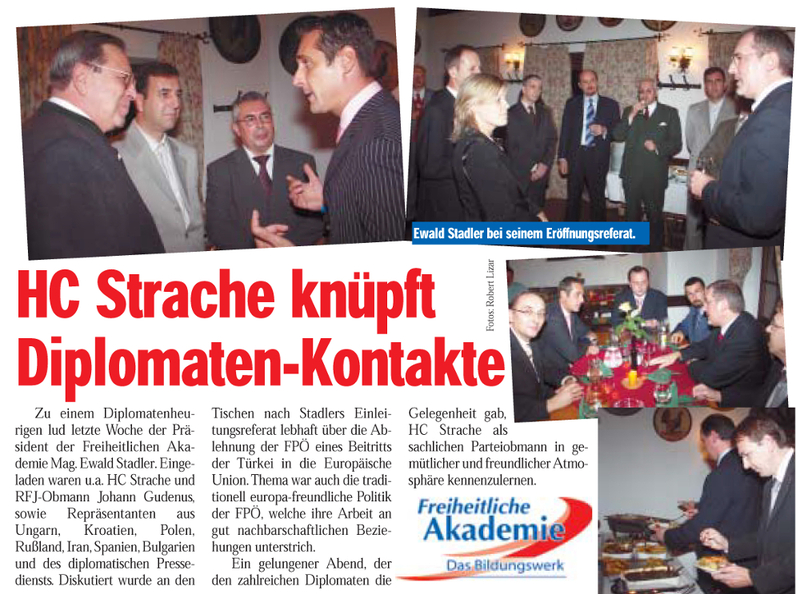 Ewald Stadler, then president of the FPÖ’s Freedom Academy arranged a meeting of the party leader Heinz-Christian Strache and Johann Gudenus with diplomats from Hungary, Croatia, Poland, Russia, Belarus, Iran, Spain and Bulgaria in Vienna, October 2005. This is arguably the first documented contact between the FPÖ under Strache‘s leadership and Russian officials. The FPÖ’s leader Heinz-Christian Strache speaking at a kick-off meeting of the “World Congress of the Nations of Georgia” in Vienna, 6 February 2009. The “Congress” aimed at reconciling Georgia and Russia following the Russian-Georgian war in August 2008. Also present at the meeting were Levan Pirveli and Johann Gudenus. 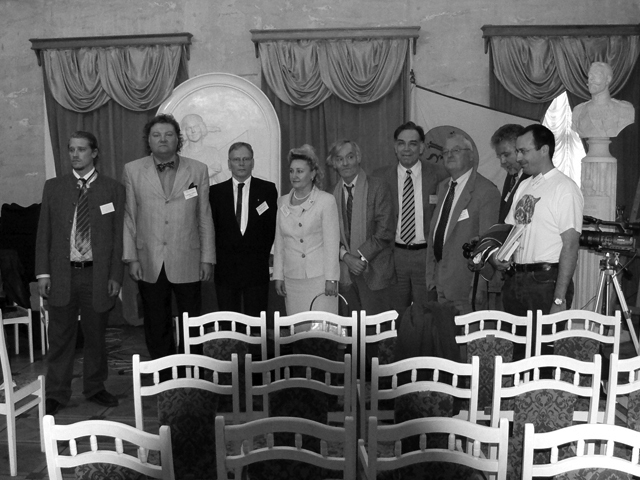 In mid-June 2009, a large delegation consisting of top FPÖ members and Austrian entrepreneurs visited Moscow and, in particular, the Russian State Duma. The conference “Conflict versus Dialogue” organised by the Centre for Strategic Studies of Religion and Politics of the Modern World (Russia) and Austrian Technologies (Austria) in Vienna, 20 November 2009: (left to right) Geydar Dzhemal, Mikhail Khazin, Maksim Shevchenko, Barbara Kappel, Levan Pirveli, Heinz-Christian Strache. 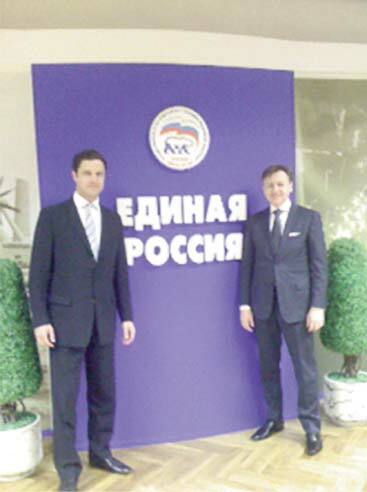 At the invitation of Oleg Morozov, then the First Deputy Chairman of the Russian State Duma, the FPÖ’s delegation (Johann Gudenus [left] and Andreas Karlsböck [right]) travelled to Moscow on the 23rd of April 2010 to meet with representatives of the “United Russia” party. The FPÖ’s delegation (Andreas Karlsböck [third from the left] and Johann Gudenus [centre]) meeting with representatives of the “United Russia” party and Russian officials, Moscow, 23rd of April 2010. The conference “Colour Revolutions in the CIS Countries and Their Current Impact” organised by Barbara Kappel‘s Austrian Technologies GmbH took place in Vienna on the 4th of June 2010: (left to right) Maksim Shevchenko, Sergey Markov, Heinz-Christian Strache, Bermet Akayeva, Vladyslav Lukyanov, Geydar Dzhemal, Levan Pirveli, Barbara Kappel. 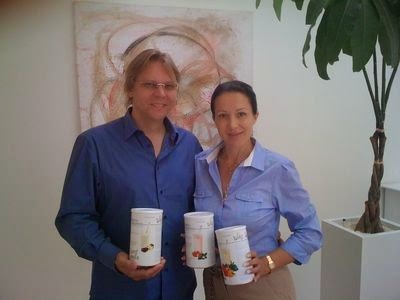 The Aquabionica “pyramid scheme”: selling various “bionic products” in Eastern Europe including Russia and Ukraine: (left to right) Aquabionica Director Sergey Yarkov and Aquabionica Vice-President Barbara Kappel. 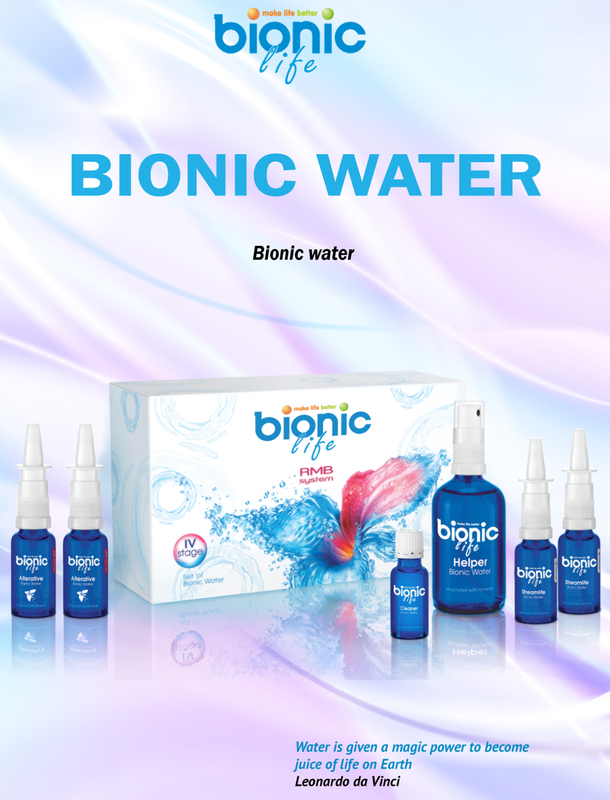 Aquabionica’s magical “bionic water” as advertised in its booklet. 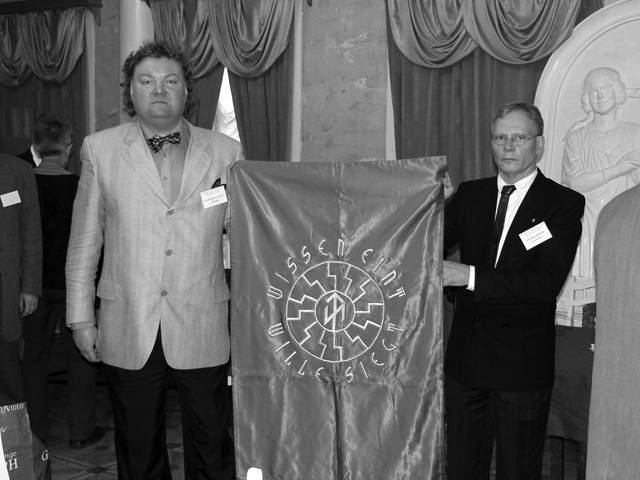 In September 2010, top members of the FPÖ (left to right: Johann Gudenus, Barbara Kappel, Heinz-Christian Strache, Andreas Karlsböck) welcomed 20 Russian orphan children who came from the Moscow Oblast to spend two weeks in East Tyrol under the patronage of the FPÖ’s Tyrol chief Gerald Hauser. The Moscow Ball in Vienna, 10 February 2011: (left to right) Johann Gudenus, Andreas Karlsböck, Barbara Kappel, Mrs. Mosina, Nikolay Mosin (Consul of the Russian Federation in Austria). The FPÖ delegation meets with Boris Gromov, then the Governor of Moscow Oblast, and other Russian officials in Moscow, 11 May 2011: (left to right) Roman Agapov, Aleksandra Kotova, Igor Parkhomenko, Andreas Karlsböck, Barbara Kappel, Boris Gromov, Heinz-Christian Strache, Johann Gudenus, Johannes Hübner and Tigran Karakhanov. 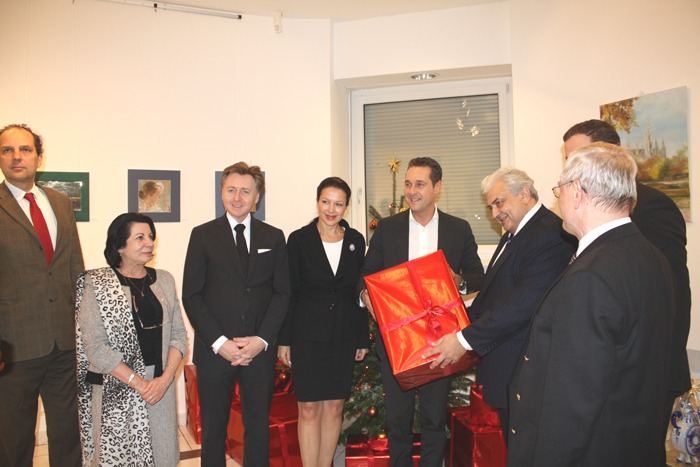 The FPÖ’s leadership at the Russian Embassy in Austria, passing Christmas presents for Russian orphan children in the Moscow Oblast to Russian Ambassador Sergey Nechaev, Vienna, 21 December 2012. 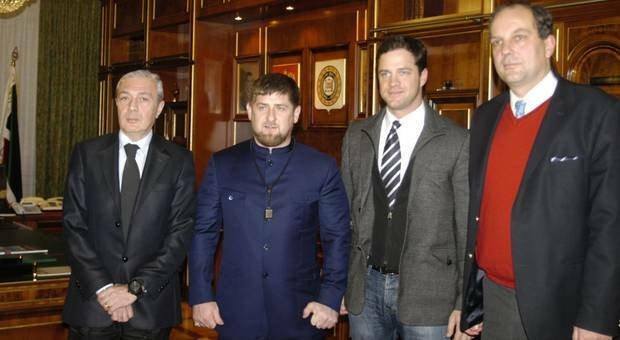 The FPÖ’s Johann Gudenus (second from the right) and Johannes Hübner (far right), as well as Levan Pirveli (far left), on a visit to the Chechen chief Ramzan Kadyrov (second from the left), Grozny, February 2012. 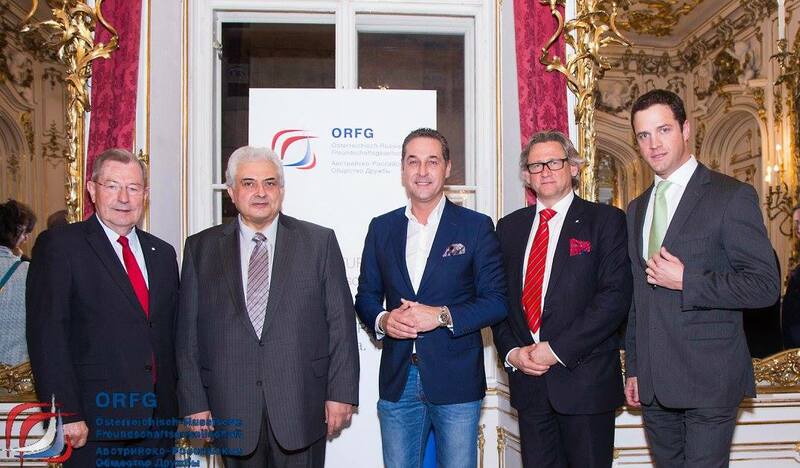 The FPÖ delegation led by Johann Herzog (centre) at the Russian Business Gala Night held in Vienna on the 24th of November 2012. 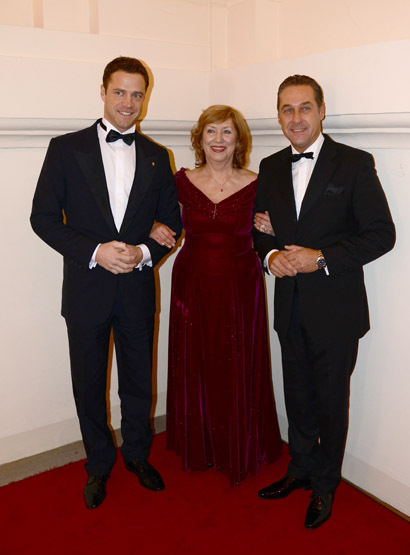 The FPÖ’s Johann Gudenus (left) and Heinz-Christian Strache (right) at the Russian Ball in Vienna, 19 February 2014, with the Ball’s organiser Nathalie Holzmüller (centre). The FPÖ’s Heinz-Christian Strache (centre) and Johann Gudenus (far right) at a meeting of the Society of Austrian-Russian Friendship, Vienna, 23 March 2015: (left to right) Ludwig Scharinger (President of the Society), Sergey Nechaev (Russia’s Ambassador to Austria), Hans-Christian Strache, Florian Stermann (Secretary General of the Society), Johann Gudenus. 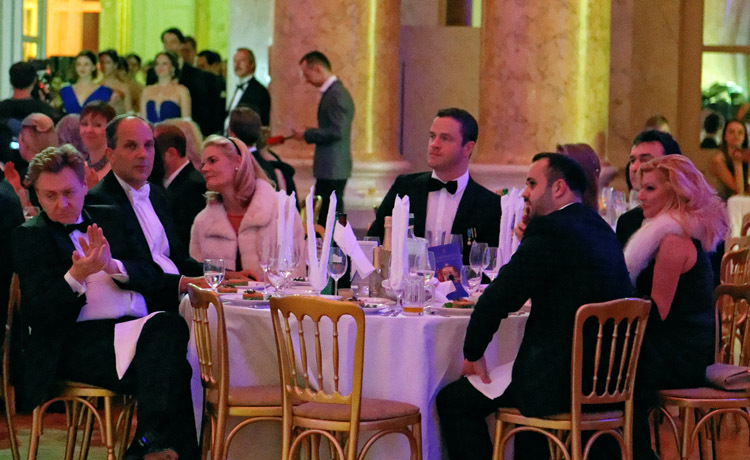 The FPÖ delegation at the Russian Ball in Vienna, 12 February 2016. 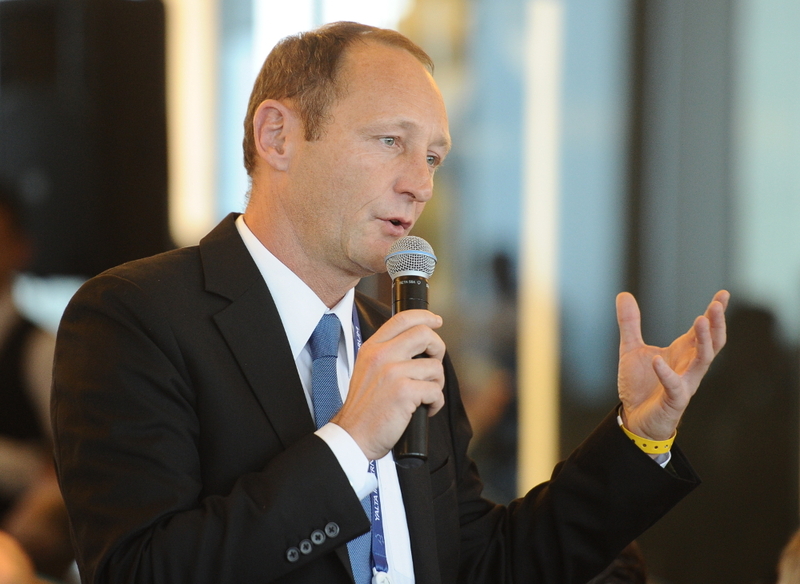 The FPÖ’s Axel Kassegger at the Yalta International Economic Forum in Russia-annexed Crimea, 19 April 2016. 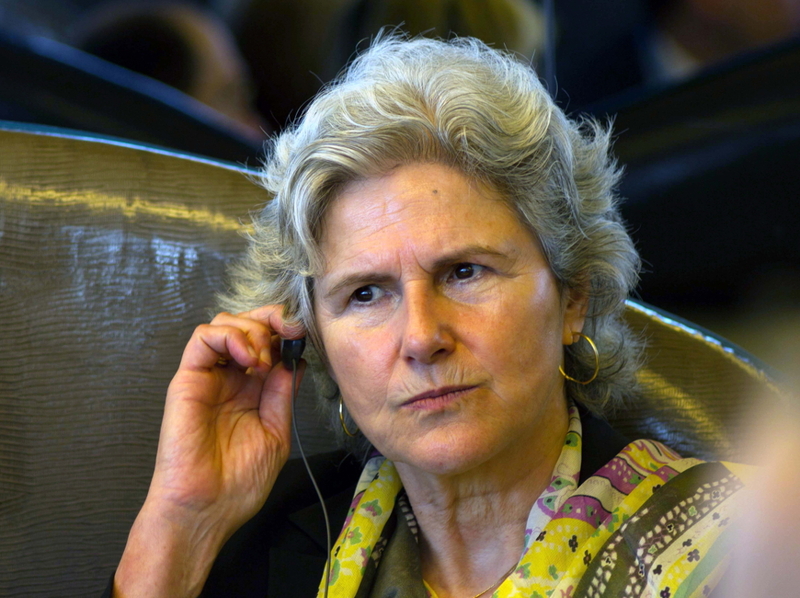 The FPÖ’s Barbara Rosenkranz at the Yalta International Economic Forum in Russia-annexed Crimea, 19 April 2016. 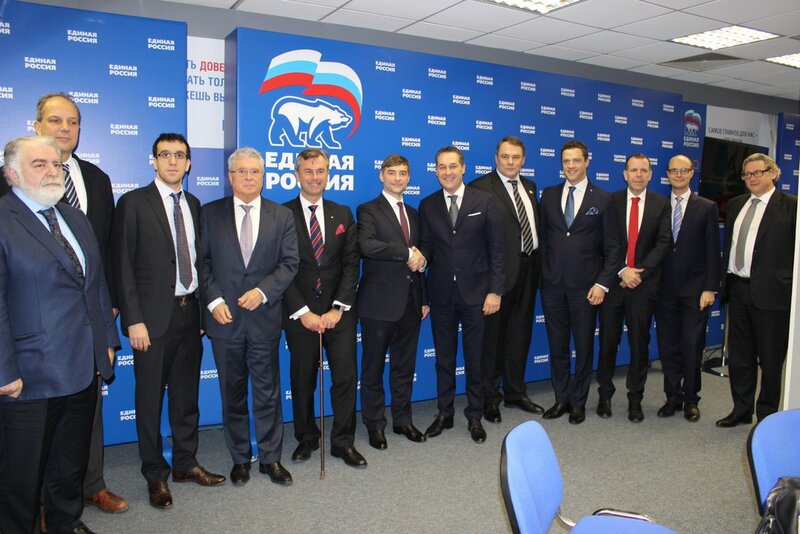 The FPÖ delegation at the ceremony of the signing of the coordination and cooperation agreement with the “United Russia” party, Moscow, 19 December 2016. 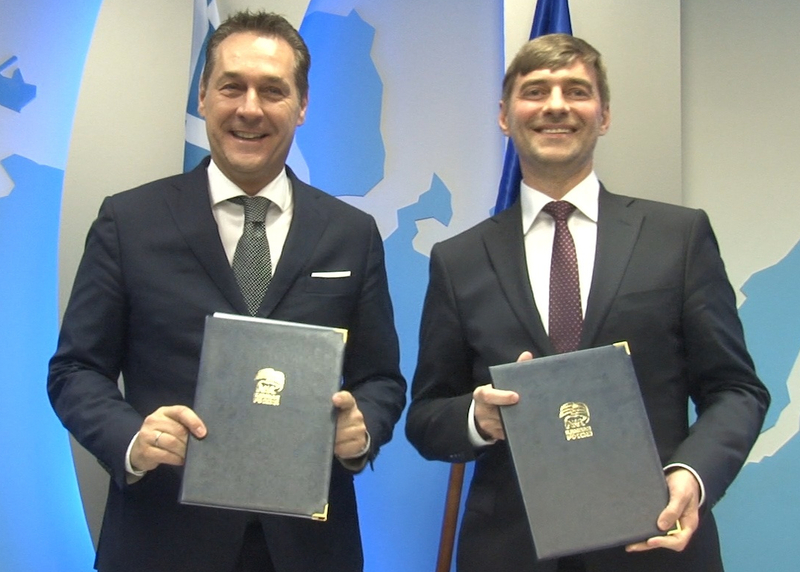 The FPÖ leader Heinz-Christian Strache (left) and Deputy Secretary of the General Council of the “United Russia” party Sergey Zheleznyak (right) after the signing of the coordination and cooperation agreement between the two parties, Moscow, 19 December 2016. 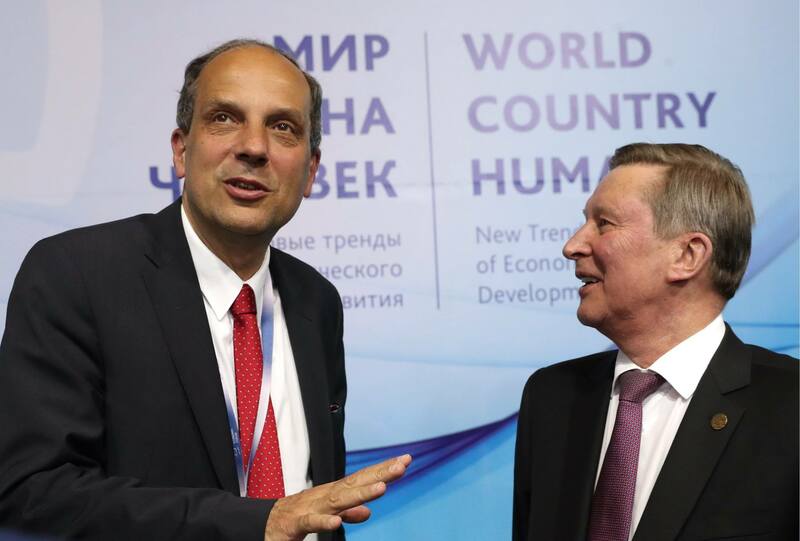 The FPÖ’s Johannes Hübner (left) and Chief of Staff of Russia’s Presidential Administration Sergey Ivanov (right) at the Yalta International Economic Forum in Russia-annexed Crimea, April 2017. 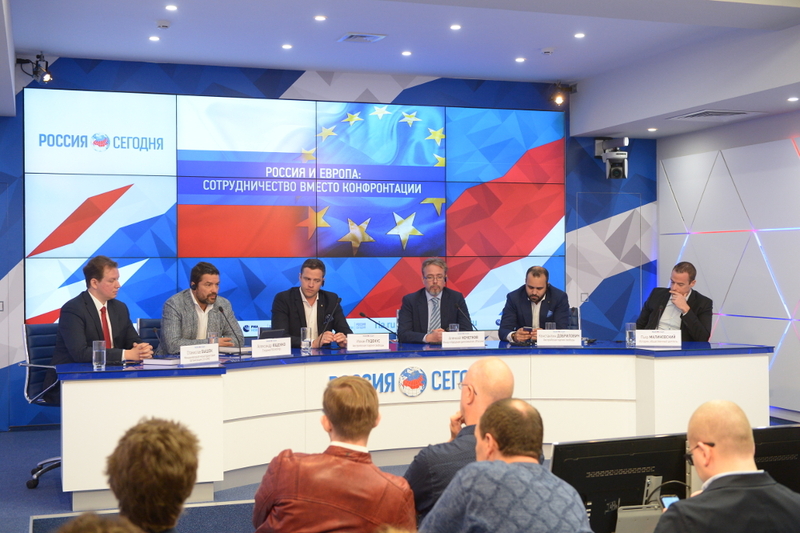 The FPÖ’s Johann Gudenus (third from the left) and Konstantin Dobrilovic (second from the right) the international far-right round-table “Russia and Europe: Cooperation instead of Confrontation” that took place at the Moscow’s office of the “Russia Today” news agency, Moscow, 22 June 2017: (left to right) Stanislav Byshok (CIS-EMO), Aleksandr Yushchenko (Communist Party of the Russian Federation), Johann Gudenus, Aleksey Kochetkov (CIS-EMO), Konstantin Dobrilovic, Pierre Malinowski (French Front National). 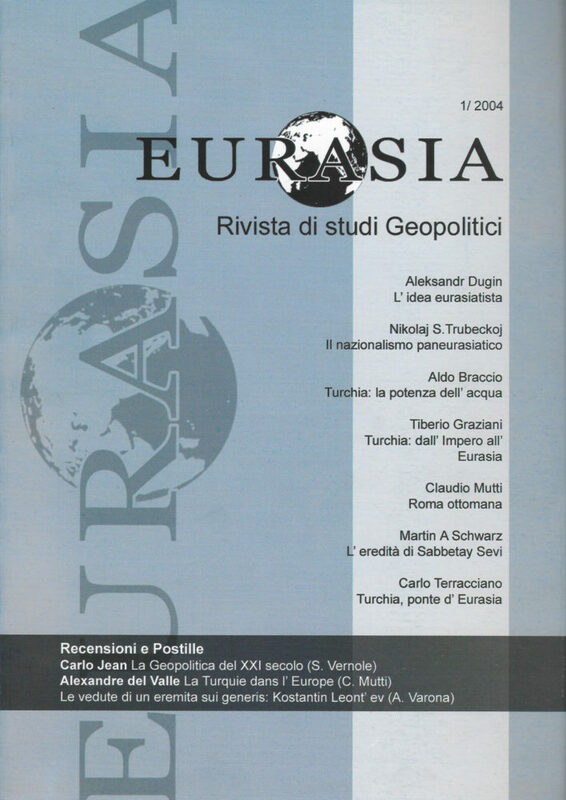 The first issue of Eurasia: Rivista di studi geopolitici (2004) edited by Claudio Mutti. 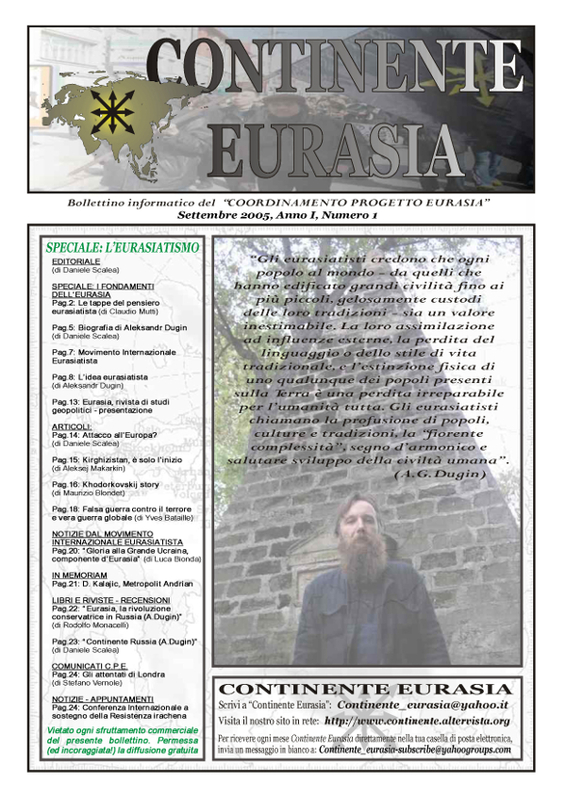 The first issue of Continente Eurasia (2005) published by the Coordinamento Progetto Eurasia (Eurasia Coordination Project, CPE) and edited by Daniele Scalea. Stefano Vernole, one of the leaders of the CPE, at the conference “NATO and Security in Eurasia” held in Moscow on 24 November 2006. The CPE activists, including Stefano Vernole and Claudio Mutti, protesting against the United States at the base of the Italian Air Force in Ghedi, where the 704th Munitions Maintenance Squadron of the US Air Force is located. 30 March 2008. 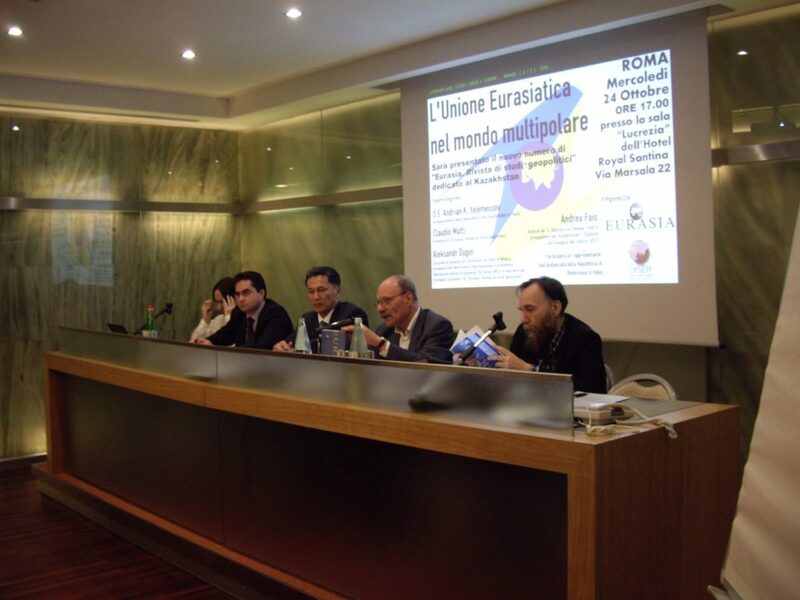 The conference “The Eurasian Union in the Multipolar World”, Rome, 24 October 2012. 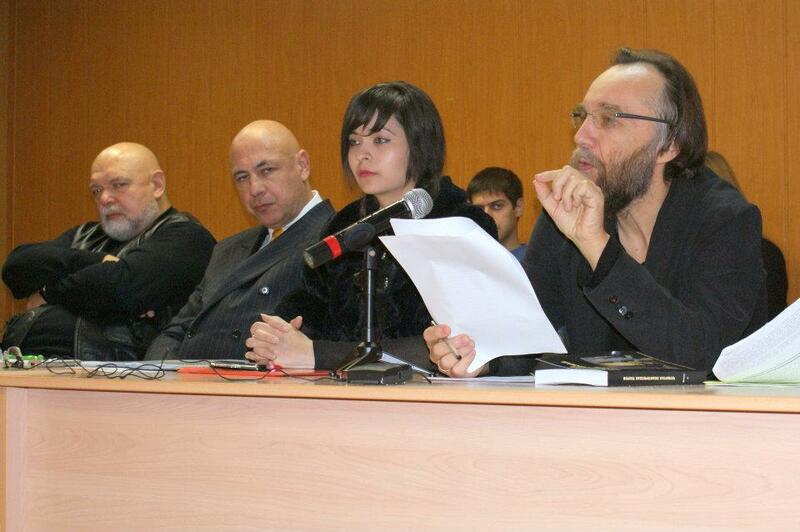 Left to right: Andrea Fais, Dmitriy Mironchik (Advisor at the Embassy of Belarus in Italy), Andrian Yelemessov (Ambassador of Kazakhstan in Italy), Claudio Mutti, Aleksandr Dugin. Tiberio Graziani (front row, far-right), president of the Istituto di Alti Studi in Geopolitica e Scienze Ausiliarie (Institute of Advanced Studies in Geopolitics and Auxiliary Sciences, IsAG), at the World Public Forum “Dialogue of Civilisations”, 6-10 October 2011. 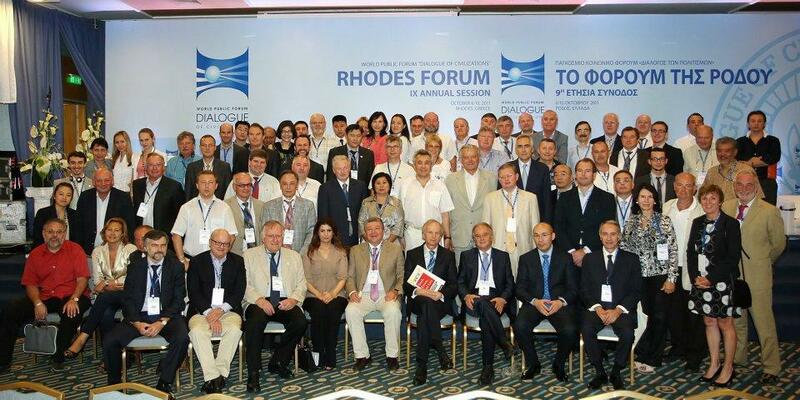 The picture also features Vladimir Yakunin (founder of the Forum), Sergey Glazyev and Mikhail Khazin among others. 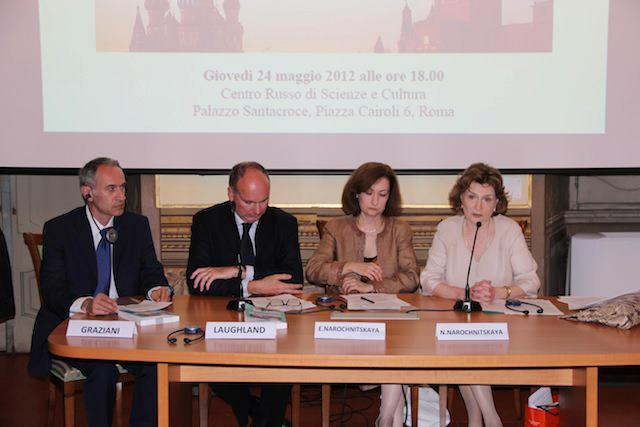 The presentation of the Geopolitica journal held at the Rome-based Russian Centre of Science and Culture affiliated with the Italian office of Rossotrudnichestvo, 24 May 2012. 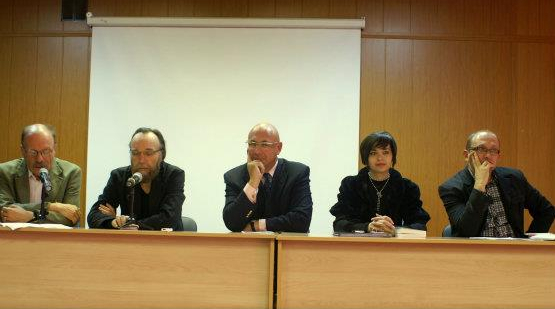 Left to right: Tiberio Graziani (IsAG), John Laughland (Institute of Democracy and Cooperation, IDC), Yekaterina Narochnitskaya, Natalya Narochnitskaya (IDC). 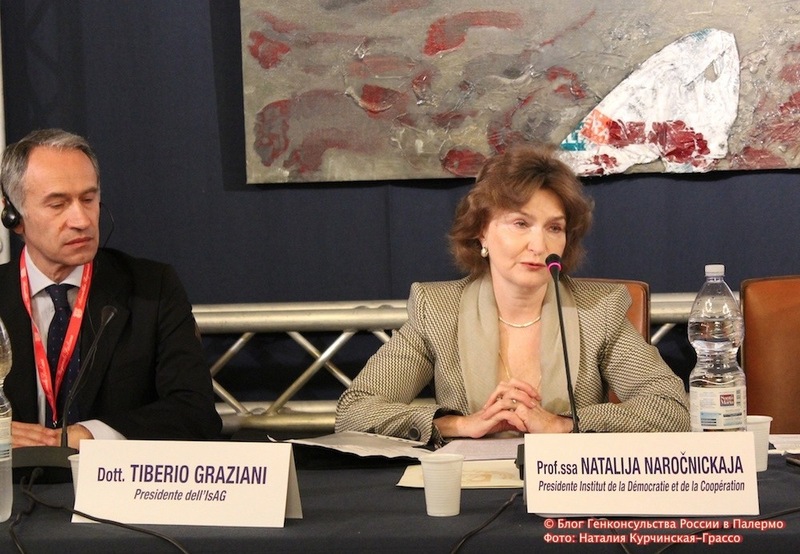 Tiberio Graziani (left) and Natalya Narochnitskaya (right) at the international conference “Russia and the Mediterranean Region: History, Culture, Geopolitics”, Palermo, 28 April 2014. 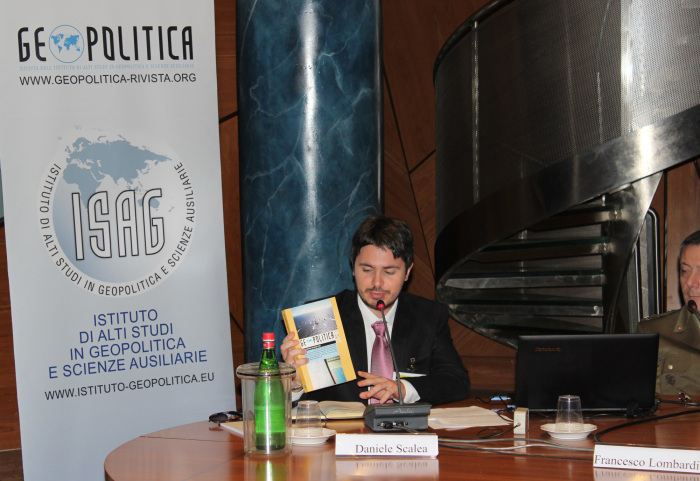 The IsAG’s Daniele Scalea presenting a recent issue of Geopolitica at the conference “The New Geopolitical Centrality of the Asia-Pacific: What Role for Italy?” that took place in Rome on 7 May 2014. “I am with Putin”. 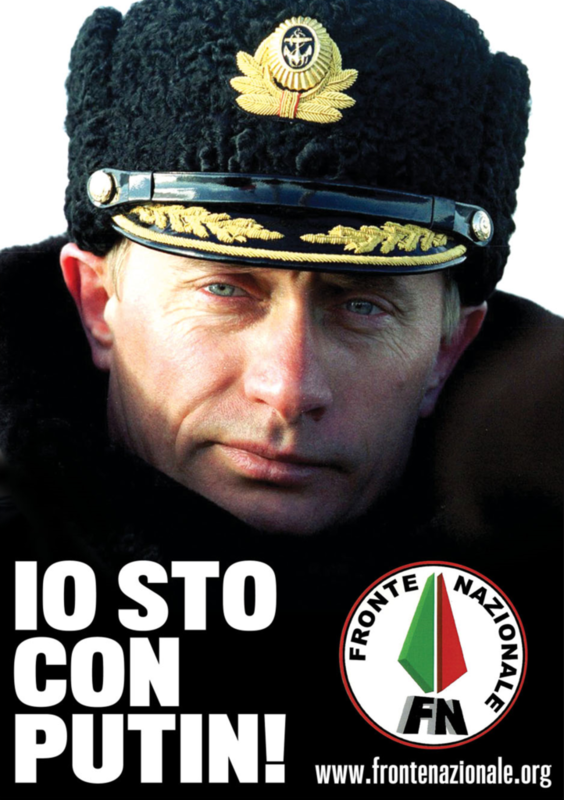 Pro-Putin propaganda of the fascist Italian political party Fronte Nazionale (National Front) led by Adriano Tilgher. September 2013. 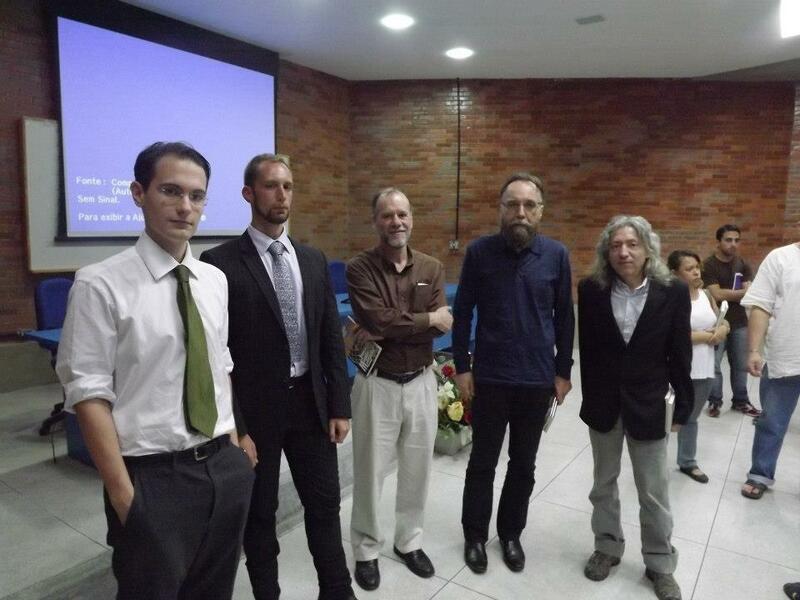 Orazio Maria Gnerre (far-left), the leader of the Italian neo-Eurasianist Millennium group, and Aleksandr Dugin (second from the right) at a conference in Brazil, 4-6 September 2012. 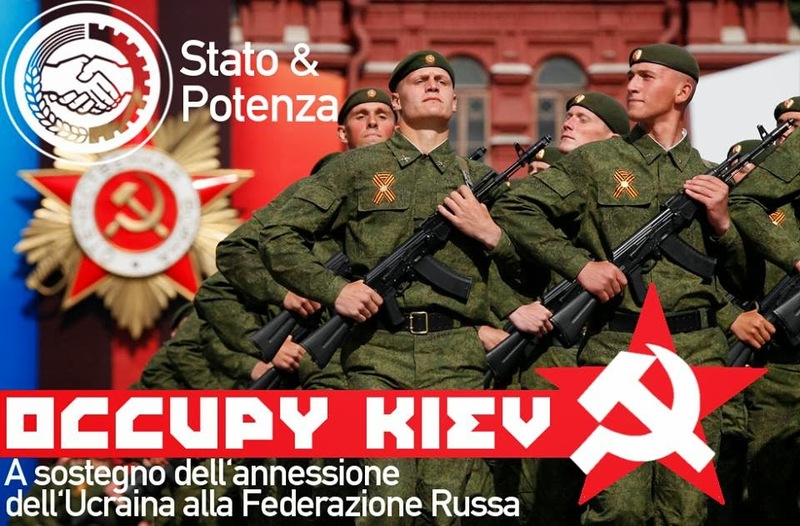 Anti-Ukrainian propaganda of the Italian State & Potenza group: “Occupy Kiev. 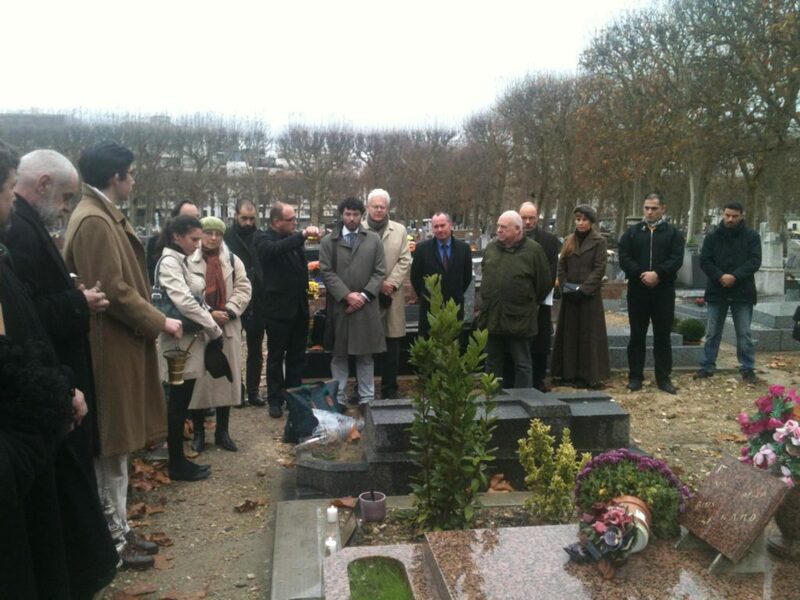 “In support of the annexation of Ukraine by the Russian Federatio”. 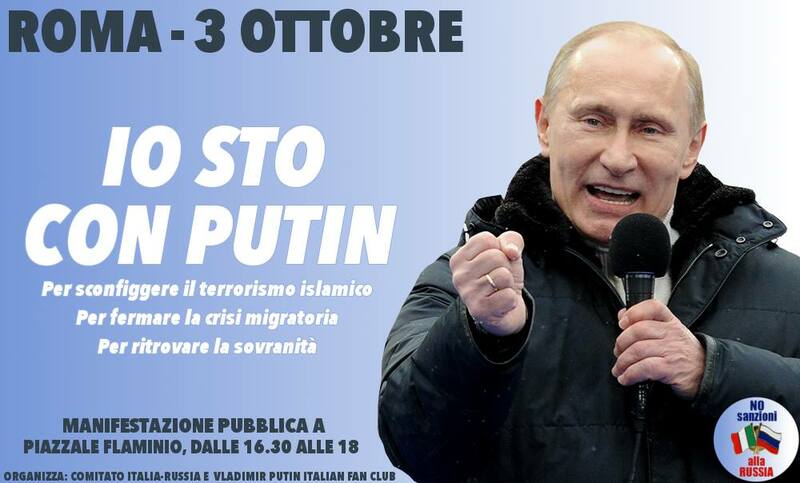 “I am with Putin”: pro-Putin propaganda of the Italy-Russia Committee led by Riccardo Rompietti. October 2015. 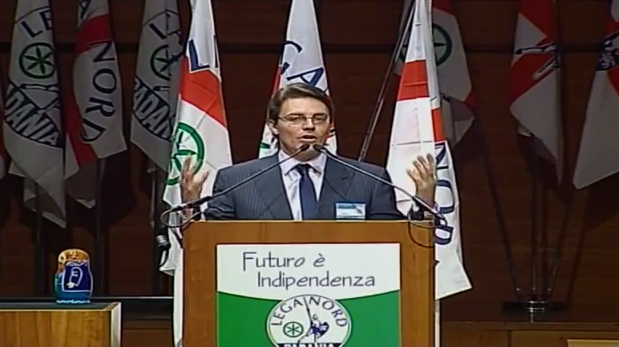 Aleksey Komov speaking at the congress of the Lega Nord (Northern League, LN) that elected Matteo Salvini as the leader of the party, Turin, December 2013. This entry was posted in Uncategorised and tagged Chapter6, pictures. Bookmark the permalink.